Looking across the street on the corner is the Schiffman Building at 231 East Side Square. There is a strong masculine look about this 1845 building that has been in the Schiffman family since 1905. The face was significantly altered in 1895 and is in the Romanesque Revival style. 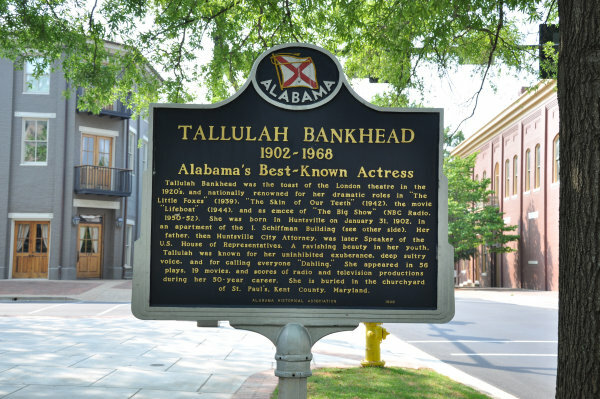 Movie star Tallulah Bankhead was born in the second floor apartment in 1902. This was the original site for a building erected by John Brahan before 1817 and known as No. 1 & No. 2 Cheapside. Erected circa 1845, the present structure is the surviving south third of a Federal-style building. 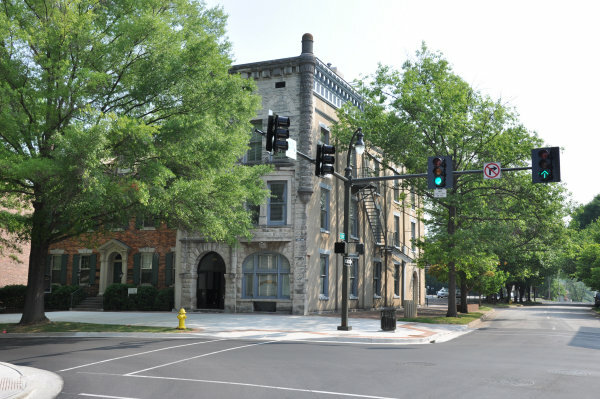 In 1895 the Southern Savings and Loan Association acquired the property, and commissioned Architect George W. Thompson of Nashville, Tennessee to transform the building into Huntsville's only surviving example of Richardsonian Romanesque architecture. Isaac Schiffman purchased the property in 1905. His family's businesses have continued here since that date. The building was placed on the National Register of Historic Places in 1980. 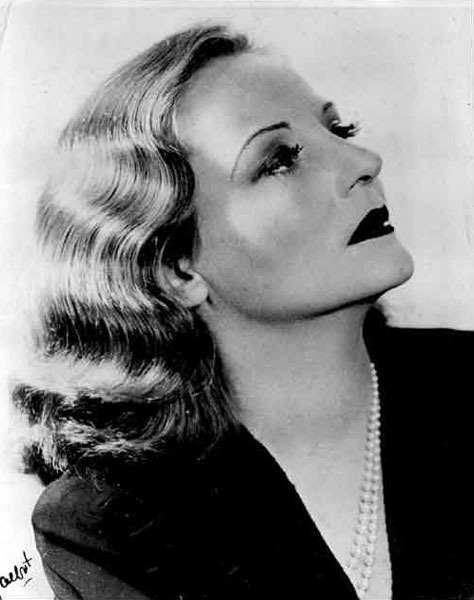 Tallulah Bankhead was the toast of the London theatre in the 1920s, and nationally renowned for her dramatic roles in "The Little Foxes" (1939), "The Skin of Our Teeth" (1942), the movie "Lifeboat" (1944), and as emcee of "The Big Show" (NBC Radio, 1950-52). She was born in Huntsville on January 31, 1902, in an apartment of the I. Schiffman Building (see other side). Her father, then Huntsville City Attorney, was later Speaker of the U.S. House of Representatives. A ravishing beauty in her youth. Tallulah was known for her uninhibited exuberance, deep sultry voice, and for calling everyone "Dahling." She appeared in 36 plays, 19 movies, and scores of radio and television productions during her 30-year career. She is buried in the churchyard of St. Paul's, Kent County, Maryland. Tallulah Bank, a stage & screen actress and talk-show host, was known for her flamboyant lifestyle. She was born in the second floor apartment of the I. Schiffman Building at 231 East Side Square.